"Readiness in Meeting Globalization Challenges"
Globalisation is seen as a trend, although barriers abound in the field of accounting as it has been changing dramatically. Globalization of the business environment presents many challenges in accounting, with significant differences in auditing practices, as rules, regulations, taxation and governance frameworks vary from region to region. What are the key things to look for when evaluating a global accounting system? What should you look for when selecting a global accounting solution? What are the key changes required in accounting and accounting methods? What is the role of International Accounting Standards? Does the consulting team or partner have a presence in all of the countries you operate in? 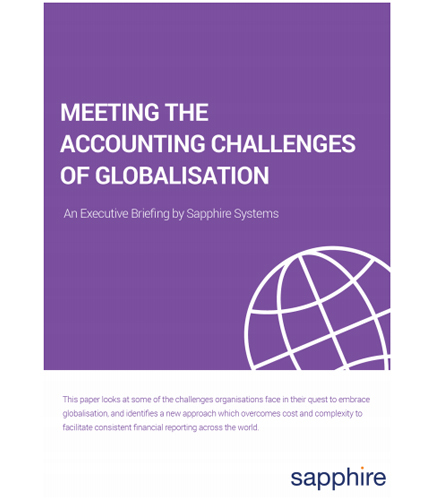 This whitepaper looks at some of the challenges organizations face in their quest to embrace globalisation, and identifies a new approach which overcomes cost and complexity to facilitate consistent financial reporting across the world.